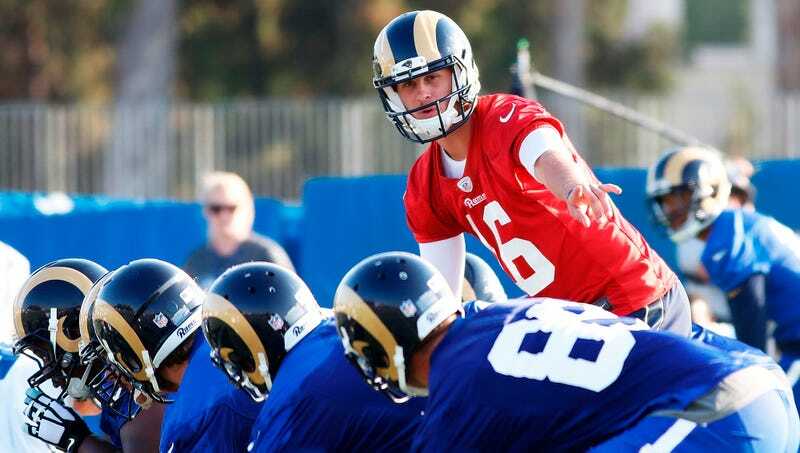 LOS ANGELES—Stressing the importance of practicing in the same conditions they would face in MetLife Stadium, members of the Los Angeles Rams confirmed for reporters Tuesday that they have been simulating their upcoming game against the Giants by pumping crowd groans through speakers. “We know the groans are going to be extremely loud there, and we want to get a feel for what it’s like to play in that environment,” said Rams head coach Sean McVay, noting that the team had surrounded the practice field with concert speakers blaring recordings of injured cattle to help mimic game conditions in which the sighs and grumbling often become so deafening that players cannot hear the snap count. “That noise is what Giants fans are known for; they feed off each other and the action on the field to create that ear-splitting groaning, so we need to be ready. Though I’ll be the first to tell you, even with the speakers, it’s impossible to fully recreate the despair of a Giants game.” McVay added that he is confident the Rams won’t be distracted by New York fans sitting behind their sideline shouting at them to come play for the Giants.